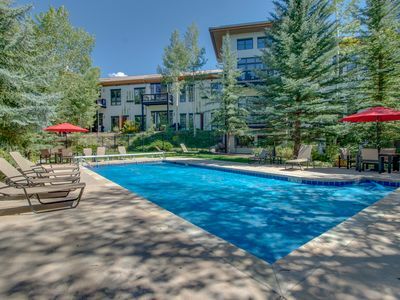 With playful decor and views of the mountains and Eagle River, this Avon condo offers guests resort-style amenities like a seasonal pool and a shared hot tub, and a convenient location. 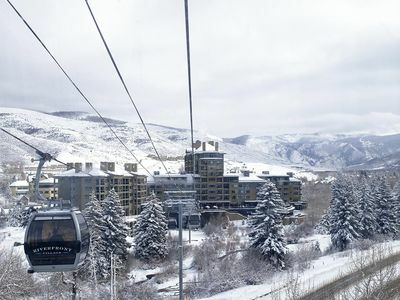 Grab the nearby shuttle to the gondola, or drive to the lower parking lot of Beaver Creek Resort. 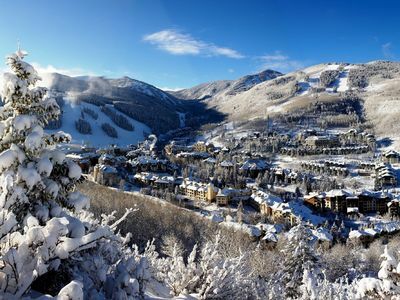 Vail Ski Resort is only 11 miles away for more terrain options. 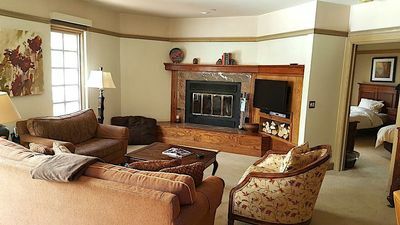 This condo combines cheery colors with upscale furnishings, homey patterns, and vintage mountain decor. 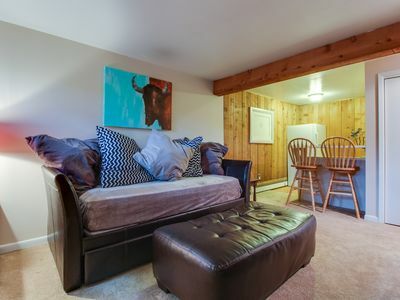 Amenities include WiFi, cable, a DVD player, and a VCR with a few VHS selections available. 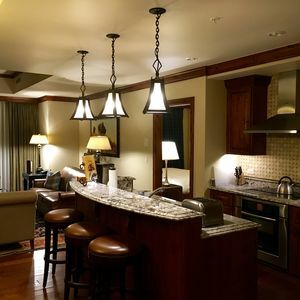 Cozy up in the living room or at the breakfast bar while a meal is prepared in the modern kitchen. 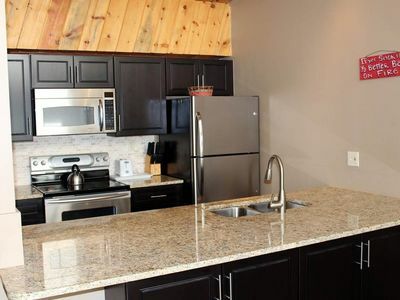 Green tile counters juxtapose the blonde wood cabinetry and stainless steel appliances. A dishwasher makes clean-up a snap. 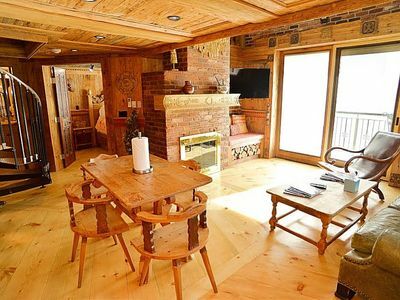 Six people can sleep comfortably in this two-bedroom, two-and-a-half-bathroom home. 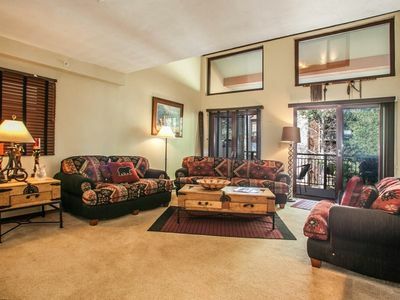 Both of the bedrooms have king beds and private TVs. 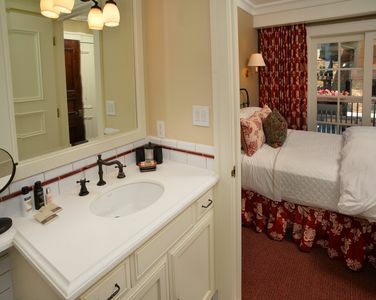 The master bathroom includes a soaking jetted tub for some serious relaxation. There's even a stand-up shower in the half bath! 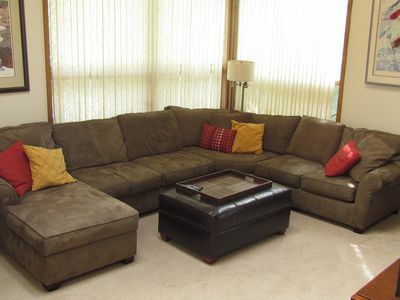 A sleeper sofa is available for extra accommodations. 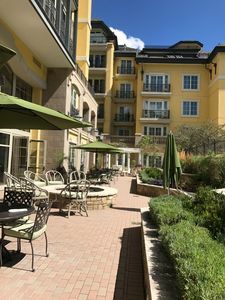 This condo also comes with access to a seasonal pool, a shared hot tub, a fitness room, free WiFi, and a heated underground garage. 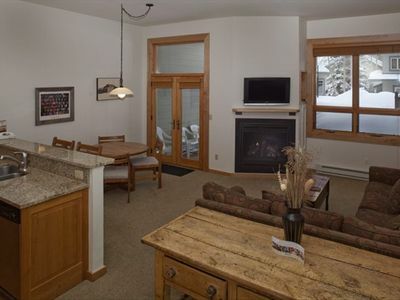 A washer/dryer is provided for ease. 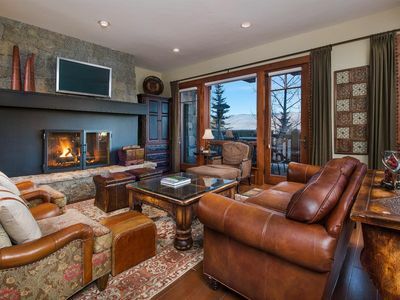 Couples traveling together or a family with older children are sure to thoroughly enjoy the access to recreation, from skiing/riding to hiking and horseback riding. 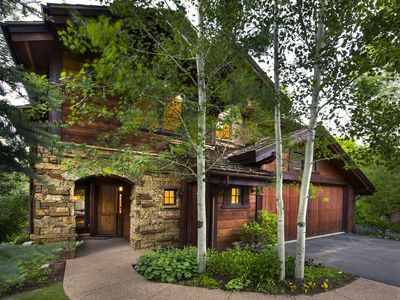 Beaver Creek Resort offers innumerable opportunities to explore the mountains. 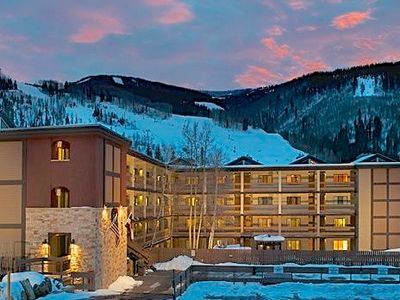 Head to Vail for a change of scenery and some great Nordic skiing. 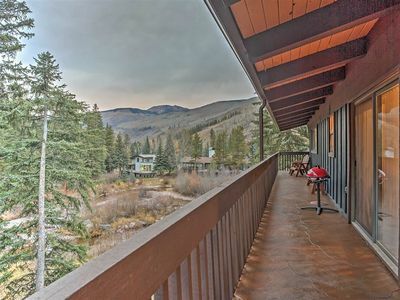 Come summer, there are golf greens to putt, and the Eagle River to fish. 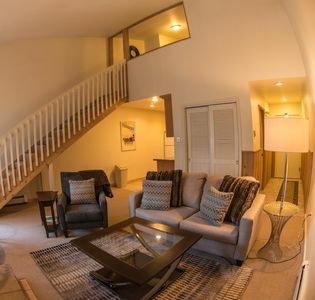 Book a stay in this stylish Avon condo today! 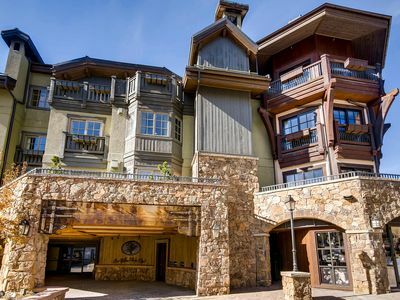 Ski In - Ski Out, Beaver Creek Village , Park Plaza, Great Location!